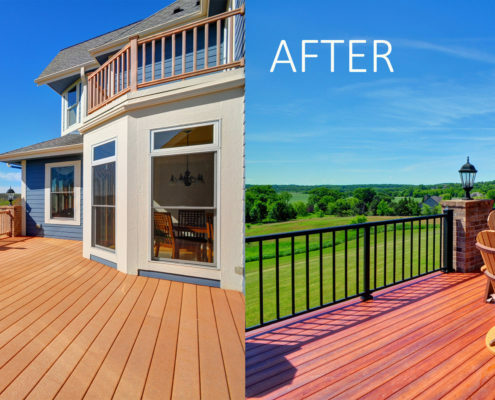 Elite Improvements did this new composite deck in Waukesha. From planning through execution – we worked efficiently and with strong attention to detail. 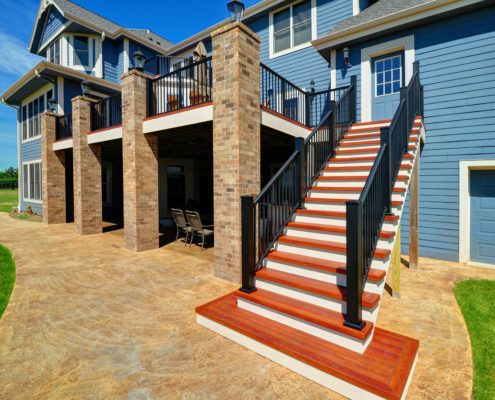 The material from before to after shows the deck is much more sturdy. 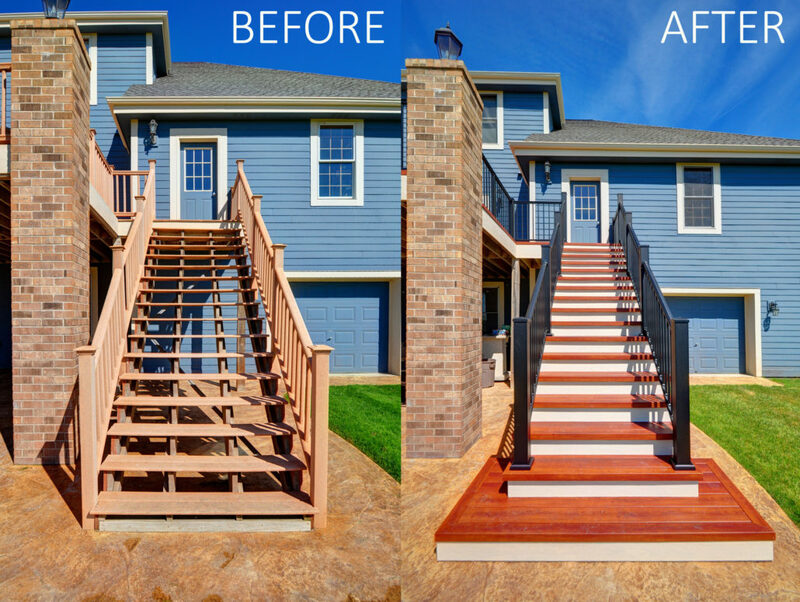 It is clear the stairs are safer and look much nicer. 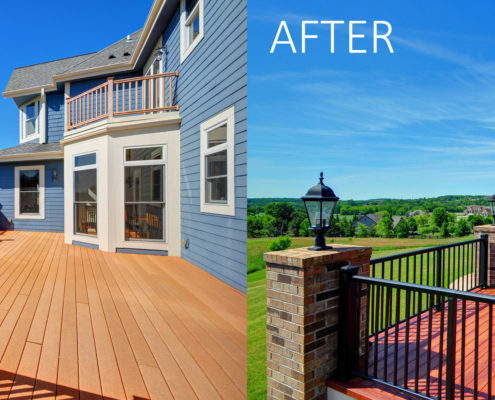 Not only did this improvement add value to the home but the exterior appearance has really come together. 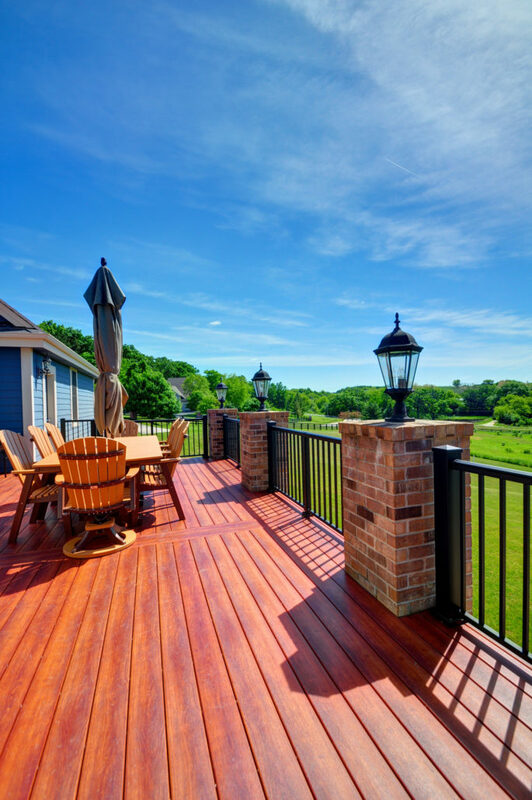 With something as simple as a new composite deck – the whole outside looks brand new! 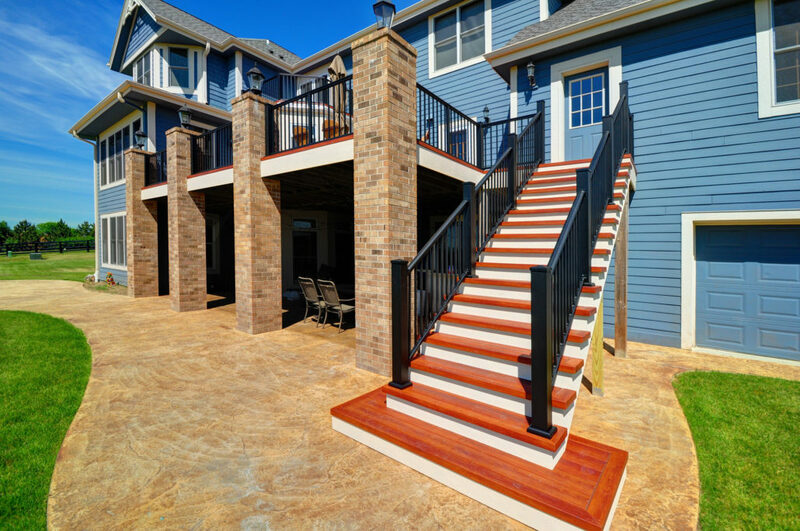 Elite Improvements specializes in custom deck design and building. 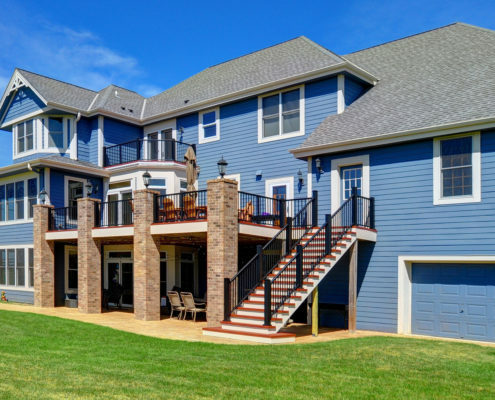 We love making your exterior more user friendly and look outstanding. 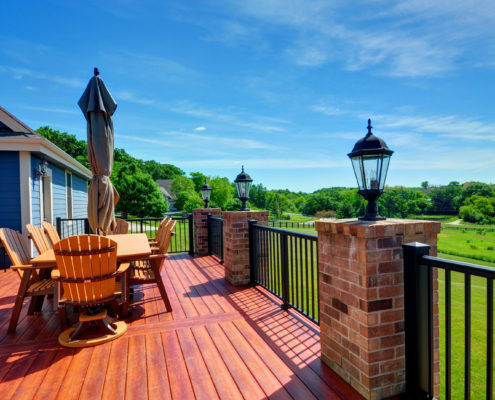 Check out some of our other deck projects as well and let us know when you’re ready to start yours! 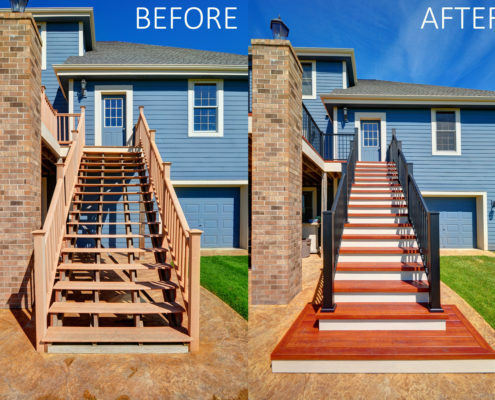 Contact Elite Improvements for your free custom deck estimate today. 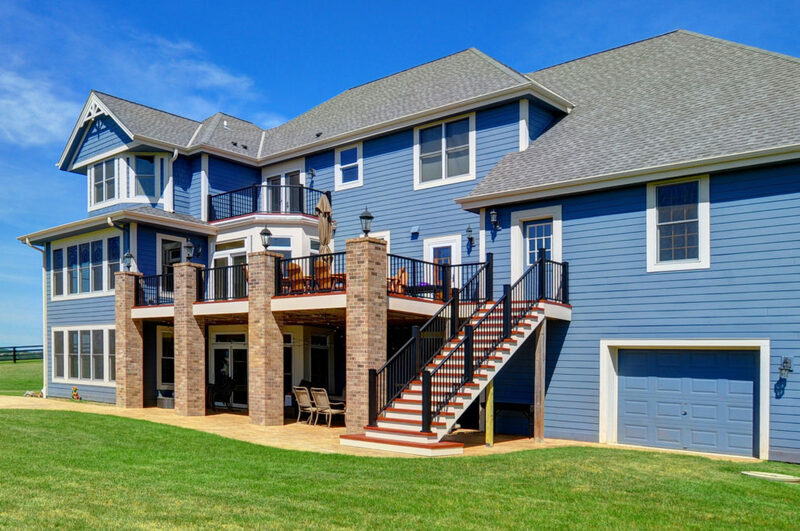 Contact Elite Improvements for your Custom Pool Deck Estimate today.